2. In a food processor combine all ingredients and mix until well combined. 3. Place on parchment lined baking sheet using another piece of parchment on top roll out until 1/8 inch thin, remove top parchment paper discard. 4. Bake for 45 minutes or until crispy. 1/2 teaspoon of sea salt and alittle if you sprinkle on top of crackers. 1. Preheat oven to 350°F In small bowl , combine almond flour, dried onion, herbs,and sea salt. 2. In a large bowl, whisk together olive oil, egg, or ( flaxseed or chia seed replacement ) and water until blended. 3. Stir in dry ingredients into wet ingredients mixed throughly, use your hands to knead into a ball. 4. Place dough on parchment lined baking sheet, using another piece of parchment paper, roll out to 1/8 ” thickness. 5. Remove top parchment paper. Using knife or pizza cutter score dough into squares. If desired lightly sprinkle crackers with sea salt. 6. Bake for 12 minutes until crackers are lightly golden along the outer edge. 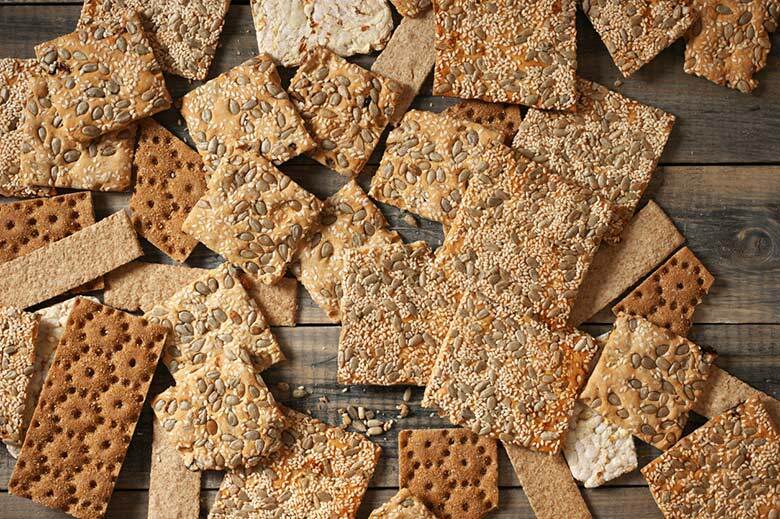 If crackers around the edges get done remove and continue to bake 1-2 mintues longer. 7. Remove from oven allow to cool. To get more crispy put back in oven slightly open oven door but do not turn oven on. Keep a close eye of them so they don’t get over browned. 8. To keep crackers crispy, store in air tight container in the freezer.